Open up your drawers and count the t-shirts you don't wear. We all have them. Either they are too small, or too short, you don't really like the color or you simply think they are boring. For some reason we seldom get rid of these shirts, because there might be that one opportunity where you are going to wear that specific shirt... I think you know where I'm heading. 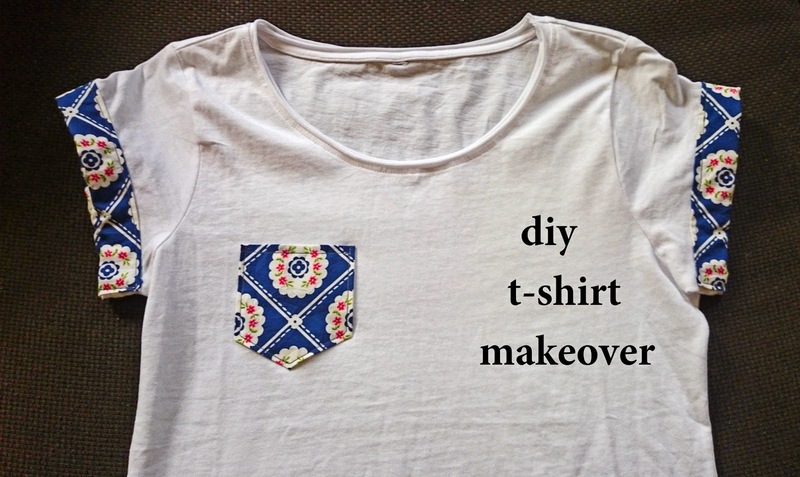 Now you have a reason to keep all of them, as we are going to show you some of easy ways for t-shirt makeovers in the next couple of weeks. 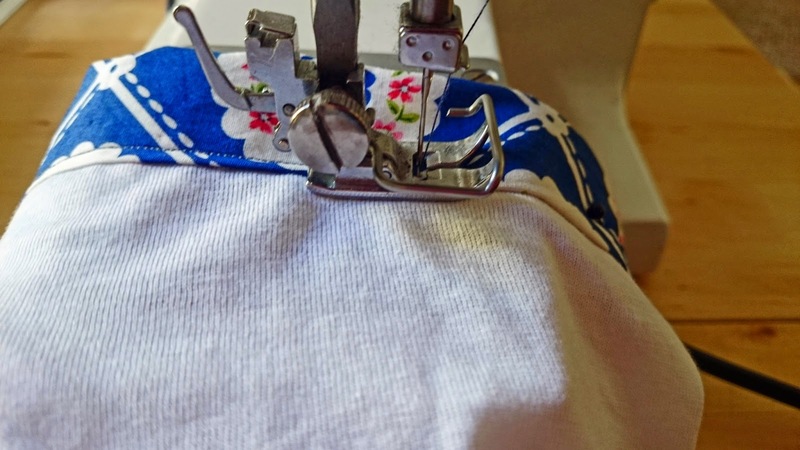 Our first tutorial is a simple cut and sew thing. 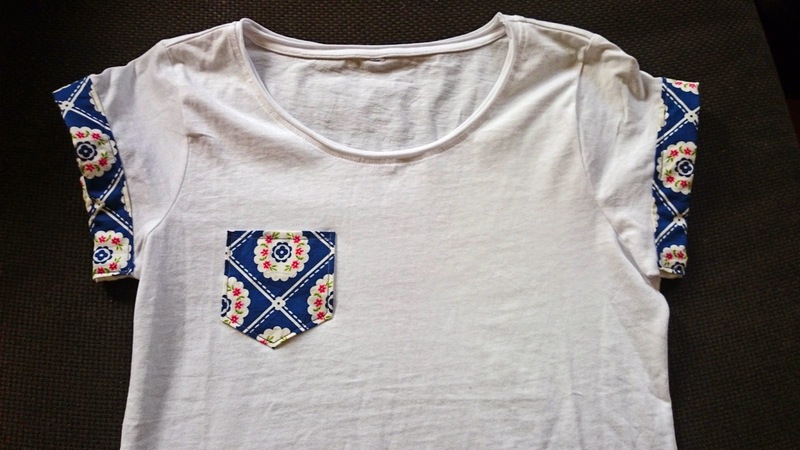 I had this plain white shirt and always thought it needed some color. 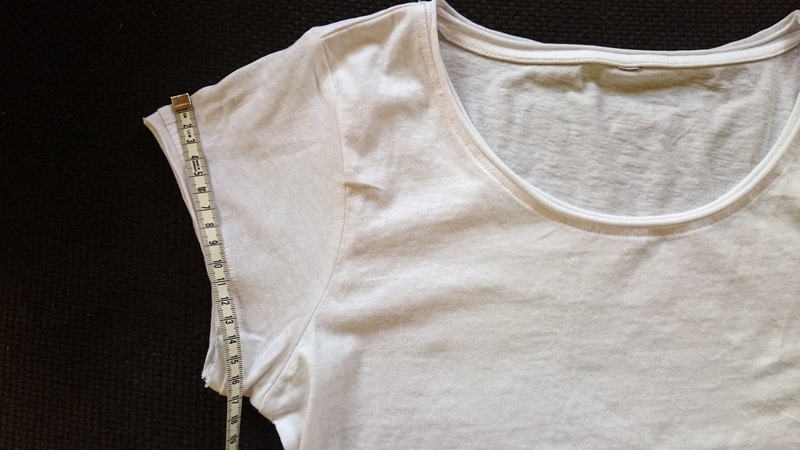 Measure the desired size of your front pocket and the extent of your sleeve. 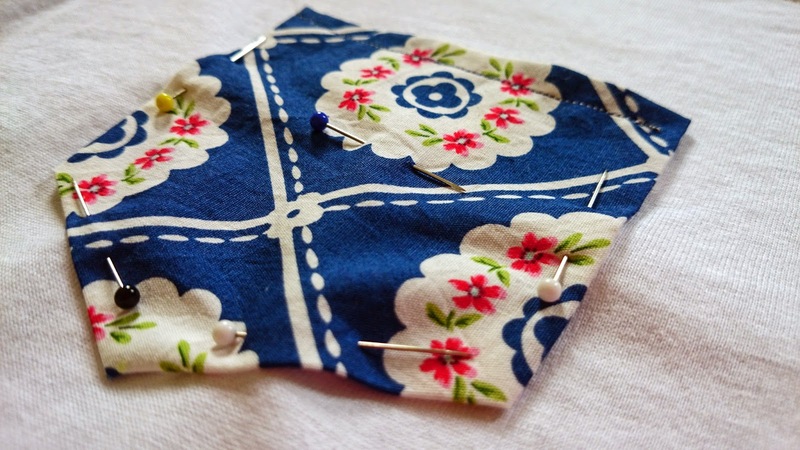 From the piece of cloth, cut out a square, adding 1-2 cm as seam allowance. Fold and iron flat the ends of one side of the square. Fold and iron flat the remaining edges. 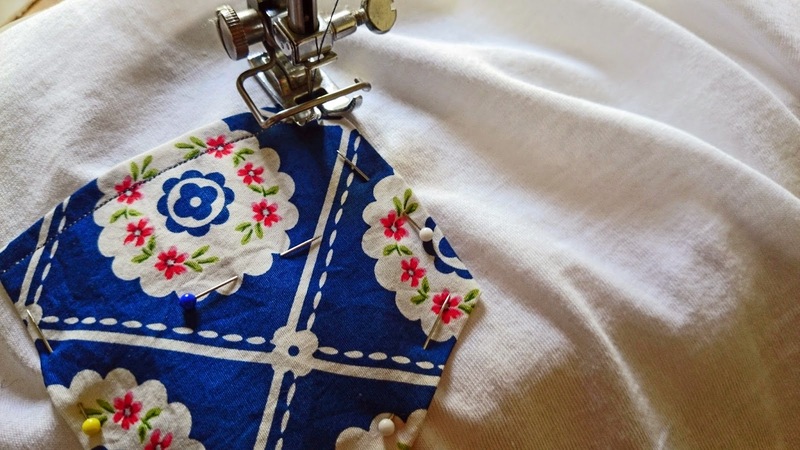 With your sewing machine (or by hand), sew along the top of the pocket. 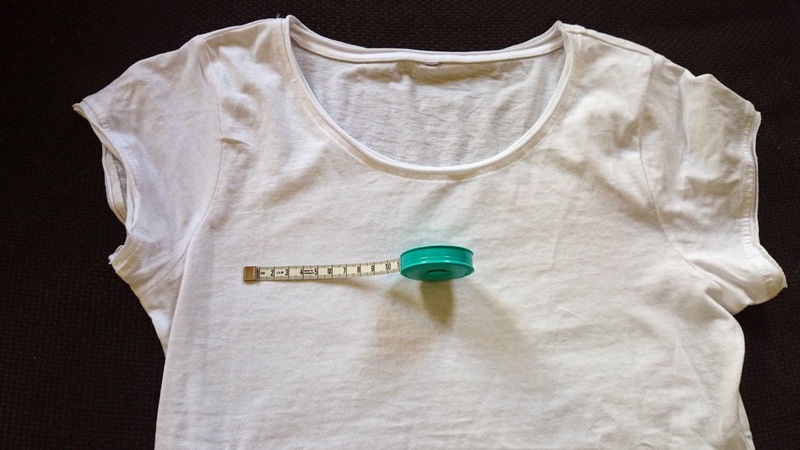 Pin the pocket to your shirt. 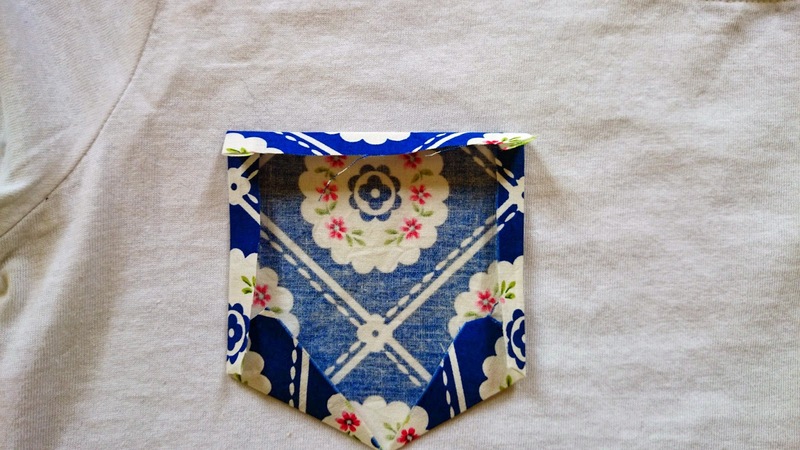 You might want to try it on first, lest the pocket turns out too be on the wrong place. 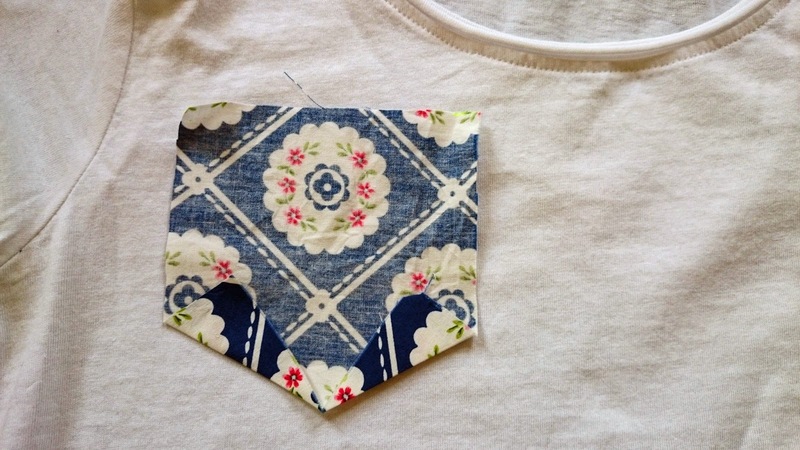 Sew the pocket onto your shirt, leaving the top open. For the sleeves, cut out a piece as long as the extent of your sleeve plus 1cm of seam allowance. 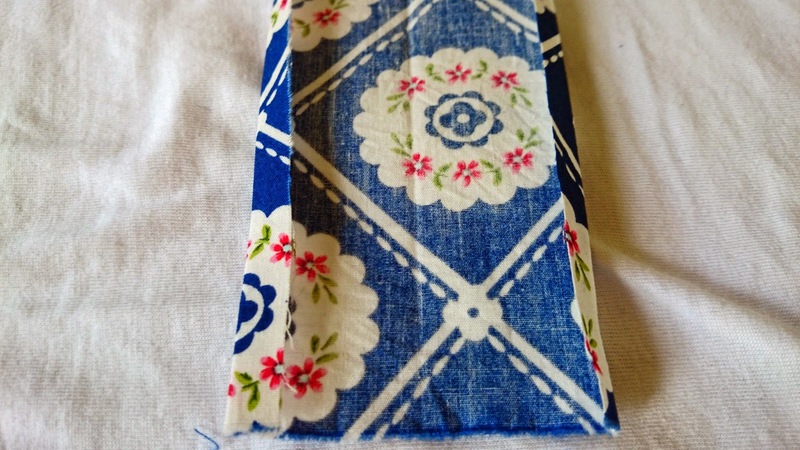 The width depends on how far you want your cloth to go up the sleeve. I decided to go for 2cm, making the whole cut out 6 (4+2cm seam allowance) x 38 cm. Iron the edges flat. 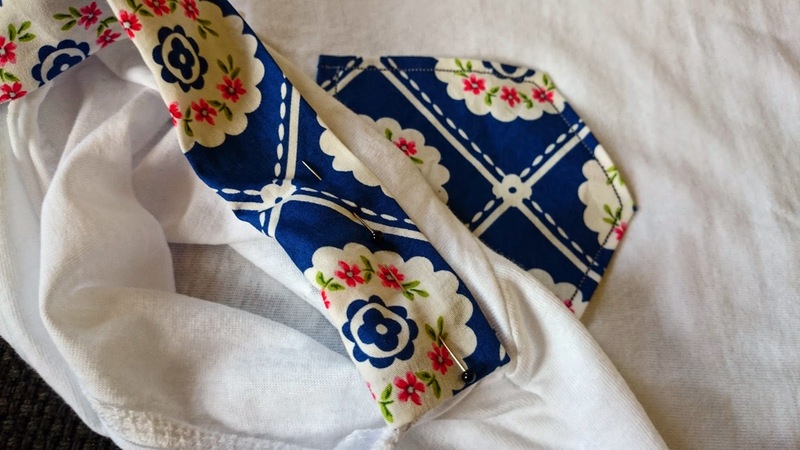 Pin the cloth around your sleeve and slowly sew it onto your shirt. Repeat on the other sleeve. Done! Voilà! In no time at all you'll have a completely new t-shirt. Wasn't that fun?